The grill of the queen category launches its bet for 2019. According to 'La Gazzetta dello Sport', more than half see the ilerdense revalidating the crown. The MotoGP grill spoke. Less than a month before the Qatar spotlights light up the start of a new course, the pilots have made their bets for La Gazzetta dello Sport. 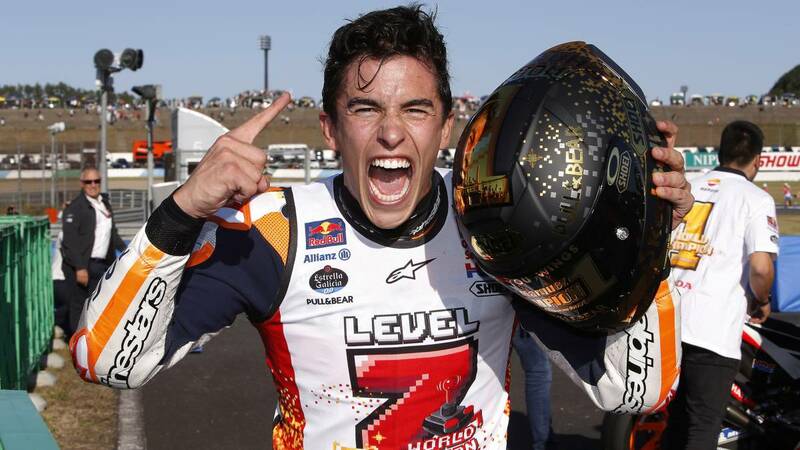 The Italian newspaper has submitted the World Cup to a vote and Marc Márquez has been chosen. The pilot of Cervera, who has won five of the last six titles played, part as the man to beat after 10 of the 22 pilots that make up the grill of the queen class -Rossi, Viñales, Lorenzo, Dovizioso and Marc himself have been deprived of voting-, see him as the main threat in the fight for the World. The ilerdense starts as the favorite for Crutchlow, Nakagami, Rins, Zarco, Morbidelli, Iannone, Oliveira, Syahrin and the two Espargaró. His hegemony in recent years means that more than half of the grid sees him revalidating the crown again while Petrucci, Abraham, Miller and Rabat, all Incorporated into the heart of Ducati, creen that this will be the year of Andrea Dovizioso on the Desmosedici. For Joan Mir and Pecco Bagnaia, the tenth of Valenti no Rossi is still a reality. The two rookies see the Italian with options to return to the top while Viñales, the most constant driver during the Sepang tests, also enters the pool as apuesta Fabio Quartararo. Quien has not had space in this vote has been Jorge Lorenzo. The Balearic has been out of the list of favorites and despite being the only driver who has managed to break with the hegemony of Márquez in the last six years, none of the pilots who make up the current grill they see him repeating feat. Maybe his injury has something to do. However, the adaptation to the Honda is the main unknown that keeps in suspense the vast majority, after the complicated process of adaptation that the Spaniard had along with those of Borgo Panigale. But each motorcycle is a world and despite sharing a garage with the favorite, the Mallorcan believes that nothing is impossible. The main favorites to the title did get wet in the surprise of the year. Danilo Petrucci led the bet with five votes, followed very closely by Franco Morbidelli, with four, in a category where the positions were more divided. They came closer to talk about the best rookie. Pecco Bagnaia has been chosen as rookie of the course with 17 of the 22 votes and as for the remaining five bets, Joan Mir, Miguel Oliveira and Fabio Quartararo rely on themselves to achieve this award. Crutchlow also opted for the French driver Petronas and Rins, was between the Pramac pilot and his teammate. With the bet made, next November 17 will share the fees in Valencia.